Our Louisville personal injury and auto accident attorneys at Murphy & Associates are dedicated to protecting the rights of individuals who have suffered personal injury or who have been harmed by corporate wrongdoing. 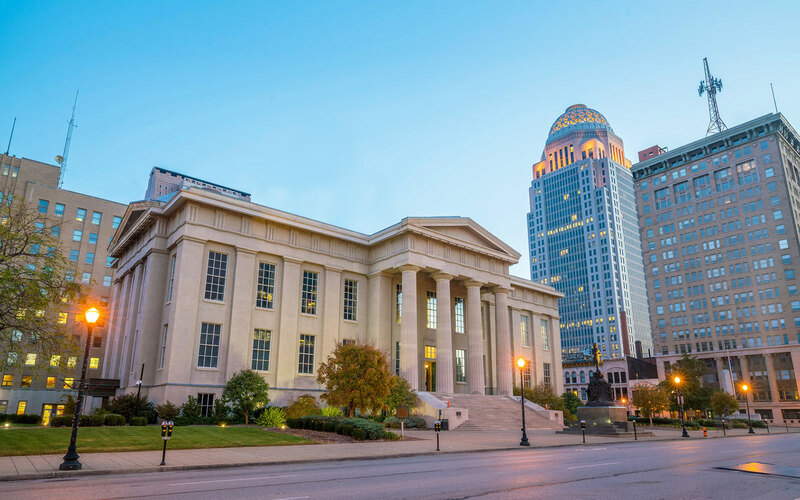 Headquartered in Louisville, Kentucky, our personal injury attorneys represent individuals injured by truck accidents, car accidents, dog bites, motorcycle accidents, as well as other personal injury practice areas for acts of negligence or wrongdoing. While our experienced team of litigators are always ready to take your case to trial if necessary, we make every effort to achieve you objectives through negotiation, quickly and aggressively. When it comes to handling an auto accident or personal injury case we have seen almost every situation imaginable. Do not risk going up against an insurance company without competent representation. Call the Louisville personal injury lawyers of Murphy & Associates PLC today. If you have been injured by the negligence of another person or the actions of a corporation, call us today at (502) 473-6464 and we will be happy to help you determine if our firm is right for you. We welcome your call or email from anywhere in Kentucky, Indiana, or elsewhere throughout the Midwest or South. All case evaluations are free, and most representations are taken on a contingency fee basis, which means our you pay us nothing unless we succeed in recover money on your behalf. Auto accidents are the most prevalent cause of injury and fatality in the United States. While bicycles are not motor vehicles, often the injuries that bicyclists suffer are caused by motor vehicles. Birth injuries are often the result of improper care provided by a doctor or hospital during childbirth. Brain Injury is an often misdiagnosed, misunderstood, neurological problem. Each day in Kentucky workers are injured on farms. Motorcycle accidents can have a devastating mental, physical and social effect on a victim and their loved ones. Nursing home abuse and neglect is a sad but growing trend in Kentucky. In Kentucky, if you are injured on a property that is not your own, you may have rights to recovery money for your damages. The unexpected death of a loved one is a trying event.